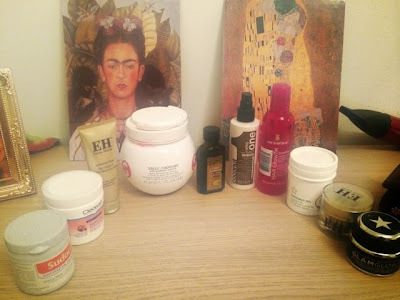 So I thought I would do a rundown of all the products I use and have come to rely on daily. Some are more expensive while others are bargains, I do believe that you can pay more for certain things and see the difference but at the same time, many hardworking beauty products are great value too. 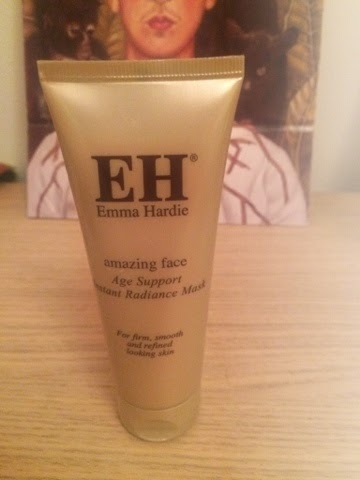 Below is my Emma Hardie Amazing Face Age Support Instant Radiance Mask, which came in a gift set with the 1-year Grazia magazine subscription I received for Christmas (best present ever!). I absolutely adore it, mainly because it smells of my favourite chocolate bar in the world - Turkish delight. Man was I ecstatic when I realised my face smelled of said bar! It retails at £36 for 75ml when bought on the high street, which I probably wouldn't pay but it does leave my skin feeling nice and clean. 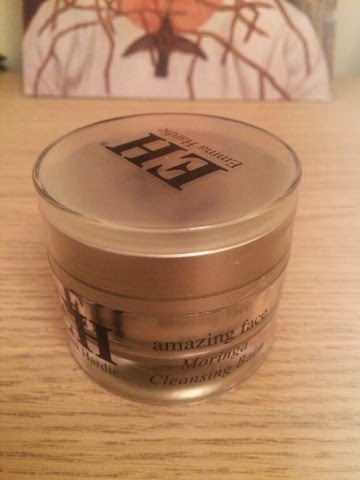 Also in the Emma Hardie set was this Amazing Face Moringa Cleansing Balm, which I use nightly. It again retails at £36 but for 100ml, and I would be more inclined to pay that with this one as I have become used to its luxurious feel which leaves my skin feeling incredibly clean and soothed. It feels lovely and thick on application by hand yet it soaks right into your skin and gives a really dewy feeling. 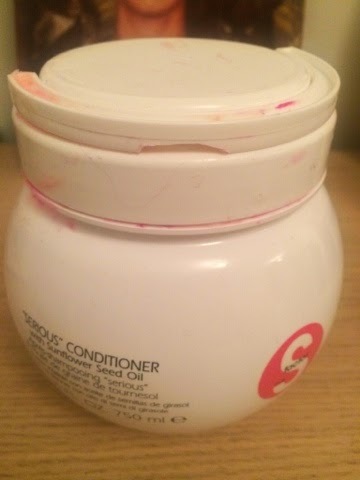 I don't scrimp on intensive conditioners as they're a lifesaver for my poor hair, which is messed and mauled with regularly given my inclination for changing the colour almost as much as my bedding. 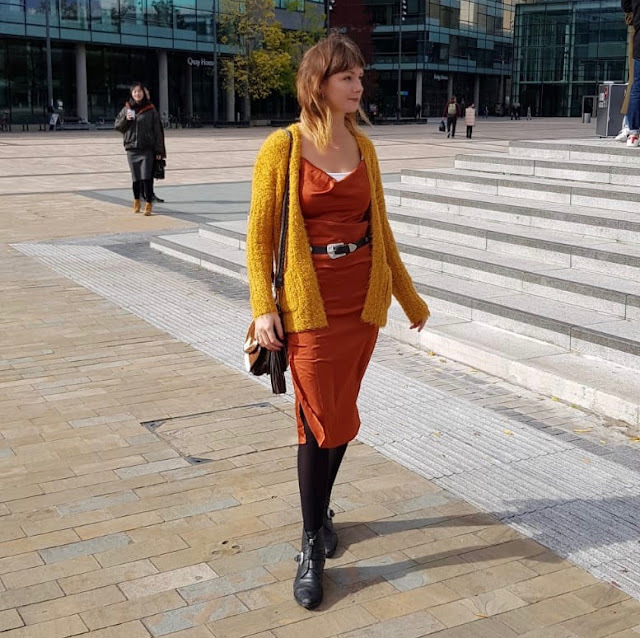 So when I read about Tigi's S Factor 'Serious' Conditioner on the fantastic Victoria McGrath's In The Frow blog (huge fan), I considered it successfully recommended. Victoria also colours her hair regularly and has a lovely lilac shade which I recently attempted, so I asked for this product for my birthday. It's £28.75 for 750ml so great to put on your bday wishlist but for the size of it, I would definitely replace it come payday once it ran out given how long it lasts. It's still only half gone and I've been using it weekly or twice-weekly for 3 months now. It smells incredible (big selling point for me you'll notice), sort of minty and bubblegummy with an appealing custardy texture in a bright pink colour which really makes it stands out from other typically white products. My hair has remained in good condition (or my extensions have) even through bleaching it twice since December; I can always tell how nourished it is straight away by the softness and shine, even after blow drying and straightening. Apologies for the residue, it's a little hard to wipe off the exterior but I thought it would give a good indicator of the colour too! 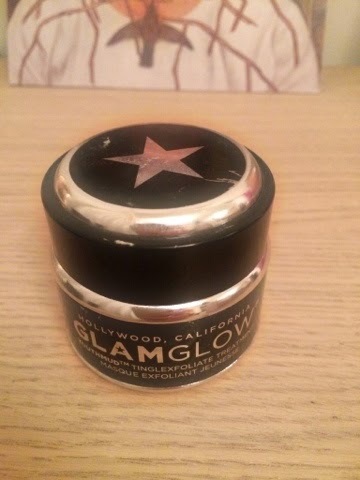 I first bought the GlamGlow mud mask on the plane home from Spain last year. After hearing much about it for yonks I thought I'd treat myself as I left sunnier shores behind me for good. It was around £20 for a small tub which didn't last long to be honest, but I was told by the air hostess that you didn't have to use a lot so maybe I was using more than necessary. I'm used to mud masks feeling quite thick so the thin application threw me, however your skin starts tingling and warming straight away and your skin does seen brighter and exfoliated afterwards. I wasn't going to purchase it again though as I've been more impressed with cheaper mud masks in the past, however my friend Beth gave me her unused large tub recently because she was unfortunately allergic. So who am I to look a gift horse in the mouth! I ran out of hair serum recently and had to buy some more in a rush on my lunch break when I wasn't feeling too flush, but had an evening out planned. So while picking up some shopping in Aldi I noticed their own brand Moroccan Oil for only £2.99 and thought I'd try it out. 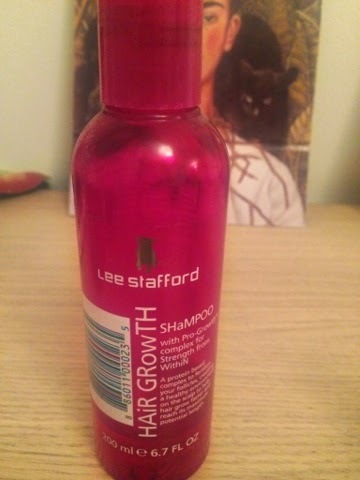 I'm really pleased with it as it does the job well, giving my hair a real shine and I can apply more as needed without it weighing the hair down at all - my hair can be on the dry side though so probably soaks it up. 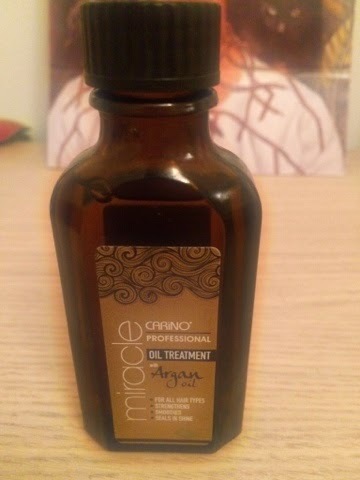 I'm usually faithful to use Loreal's Extraordinary Oil which is around £10 a bottle (and was even cheaper from Mercadona in Spain), and I would still go back to that as I love it so much, but when funds are limited this is a great alternative. 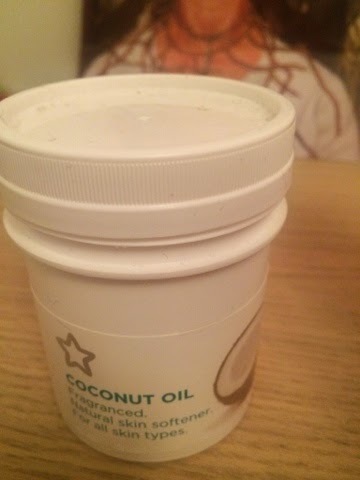 I started hearing about coconut oil as the new argan oil a couple of years ago, so I went on the hunt for some proper cooking coconut oil when I was in various supermarkets but didn't end up finding any and instead purchased 2 tubs of Superdrug's version on offer (2 for £2.99). It starts out quite hard so I scrape it or and rub it between my hands to turn it from solid to liquid, then apply it liberally to dry hair before plaiting it and leaving in overnight. When I wash it out and style hair as normal my hair feels great afterwards, and I do notice the difference if I don't carry out this wash-prepping ritual. Now this was a purchase I made last spring before I had my extensions put in, and had become really frustrated with attempts to grow my hair. It barely grew an inch since I moved to Spain, so I was looking forward to seeing how this helped. It usually costs £7.49 for 200ml, which is more than I'd usually pay however I bought it in a 3 for 2 deal with the conditioner and deep conditioning treatment (both of which I used a while ago). This product definitely smells high-end, with its luxurious perfume that you wouldn't get with any old shampoo. However I unfortunately didn't see any difference in the growth rate of my hair in the few months I was using it with the other products - maybe I'd have to give it longer and my hair was probably just too damaged but then really, it isn't doing what it says on the tin. I do love a bit of hot pink packaging on my bathroom shelf though. 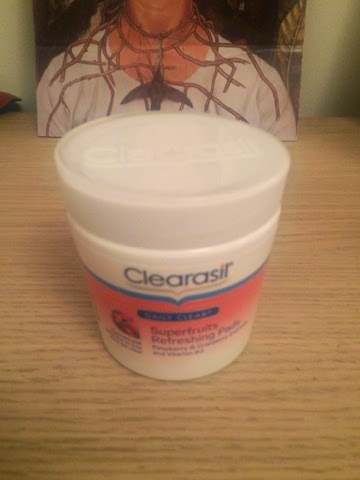 Last but not least, I purchased these Clearasil Daily Clear Superfruits Refreshing Pads for a bargainous £1.99 from Home Bargains last week (love that place). I'm always conscious of making sure I wash my face regularly and properly (I apply and rinse twice per wash to be sure), so these are a great follow-up before applying cleanser, toner and moisturiser. They feel unbelievably moist and the berry smell is just lovely, the pads also have little exfoliating ridges so your skin feels properly cleared of all dirt or grime before you go subjecting it to more products again. Strangely it doesn't tell you how many pads are in this tub but when I've looked online, they retail at around £10 for 90. I don't think mine have less than around 40-50 so it was definitely a good buy. 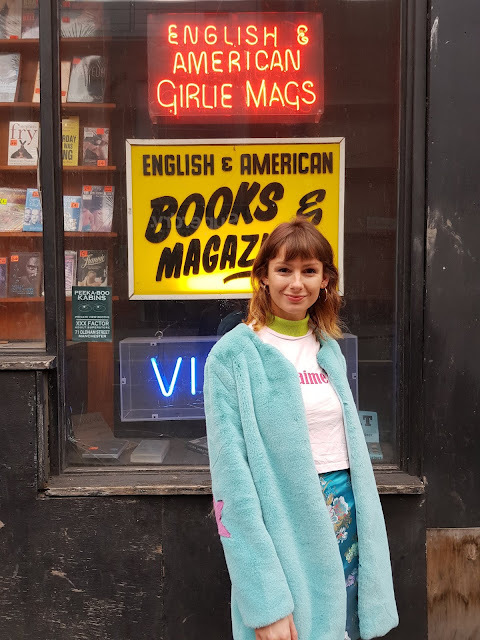 I get withdrawal symptoms if I don't nip into Home Bargains at least once or twice a week so I'm pretty sure I've received the usual outstanding value I've come to expect from said store! So they were the majority of hair and face products I use, hope you enjoyed! Do you use any of these yourself? Will you be buying any on my recommendation?